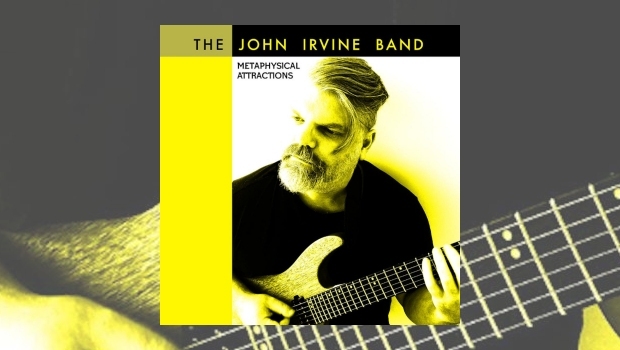 One of the earliest album reviews to appear on TPA was the second release from Edinburgh based The John Irvine Band, their name derived from the man behind the project – composer, guitarist and multi-instrumentalist, yep you guessed it, John Irvine. Next Stop, released in 2013, was, and still is, a fine instrumental album and one that exudes class from start to finish. Reading back through my review of the album, I have to say that the vast majority of comments and observations made then, apply equally now. “…a classy, well written instrumental album featuring great ensemble pieces, firmly steeped in the progressive jazz/rock camp.” Listenable was another key word used, and again it’s a good fit here. Along with his musical skills John is a published poet and short-story writer, and has written three sci-fi novels comprising ‘The Smith Chronicles’ series of books. 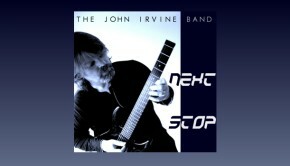 Published between the release of Next Stop and this latest album, the imagery of those three books permeates throughout the music. The end result is an absorbing album, chock full of great playing, rich sonic landscapes and a diversity of music that demands repeated listening. Joining John on kit is Rich Kass who propels, grooves, punctuates and takes ownership of the often complex material. Rob Ironside offers some metaphysical tomfoolery in part II, whilst Gwen Kelso elevates Lucy’s Brainwave with some delightful Canterbury inspired melodies. As with all great exponents of an instrument it is the ability to transcend and elevate the music to a higher level, something John does with consummate ease. Talking of ‘great exponents’ and listening through Metaphysical Attractions the influence of Allan Holdsworth is ever present, not only in John’s fluid legato runs, but also the wonderful chord voicings. Metaphysical Attractions however is not merely an avenue for John to display his fretboard mastery, so equally you might hear the expansiveness of Alex Lifeson, the infectious pop sensibilities of Andy Summers, stumble over synth melodies Mr Emerson would have been proud of, or perhaps more appropriately, Mr Wakeman’s musical sci-fi dabbles.